Syfy’s newly formed joint venture with Universal Pictures, Syfy Films—which, thankfully in this case, is not to be confused with actual Syfy films—has just acquired George R.R. Martin’s Wild Cards as its first project. The Syfy Film version of Martin’s superhero anthology—which, again, will be in actual theaters and star people besides Lorenzo Lamas—is being prepped by Melinda Snodgrass, co-creator and one of the many writers who’s worked on the series since its debut in 1987. 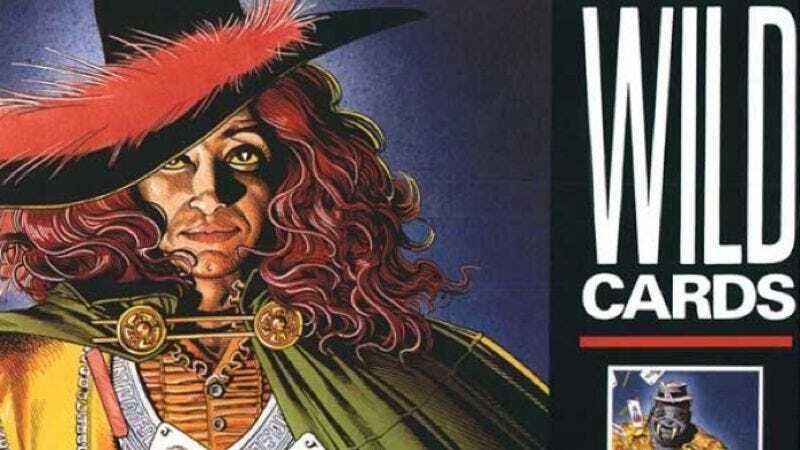 For those unfamiliar with Wild Cards, it takes place in an alternate reality where, in 1946, an alien biological weapon wipes out most of New York City, leaving behind a race of mutants known as Jokers and a smaller band of people with superpowers known as Aces (plus a few Deuces whose superpowers are sort of lame). Many of these Aces soon become celebrities—including real people like Buddy Holly, Jim Morrison, and Mick Jagger—while the rest of the Jokers slum it in Jokertown. Hey, just like us. Although the sprawling, episodic nature of the books would seem to make Wild Cards tailor-made for television, especially since TV has already proven to be such a welcome home for Martin’s similarly sprawling, heavily populated Game Of Thrones, Syfy and Universal are instead hoping to mount the series as a feature film with an eye on a franchise—one that, Martin says, could possibly include television “down the line.” Given TV’s overabundance of, and proven problems with superhero shows, maybe that’s not such a bad thing.